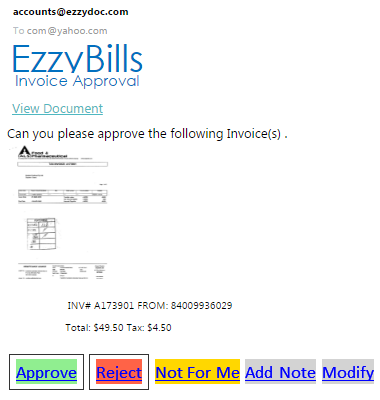 When using EzzyBills Approval Process, your invoices will wait for your approval after EzzyBills extracts the data. After your approval, they will be then exported to your accounting package. then “Save” the setting change. You will have the option to choose one-level or two-level (2-people) approval process. The invoice will be then exported to your accounting package. The workflow ends. The invoice will not be exported to your accounting package. Not for Me: to change approver. 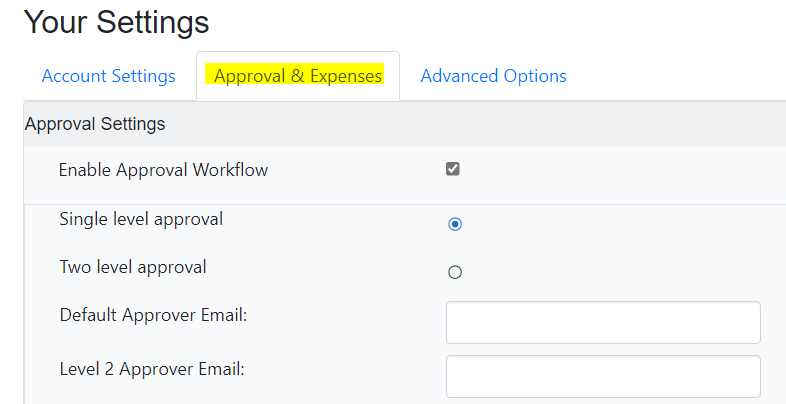 Allow you to suggest another approver email and EzzyBills will email the new approver; or put the invoice back to the EzzyBills workflow to wait for be assigned to another approver.